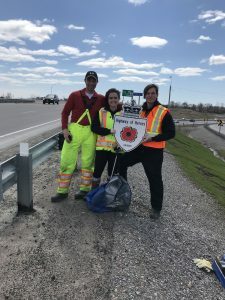 In an effort to continue to honour Canada’s fallen, a small, but mighty group took charge to ensure a large portion of Canada’s Highway of Heroes is kept clean. Located in Ontario, the Highway of Heroes is a stretch of the roadway on Highway 401, where Canadians gather to pay their last respects and honour families of the fallen. 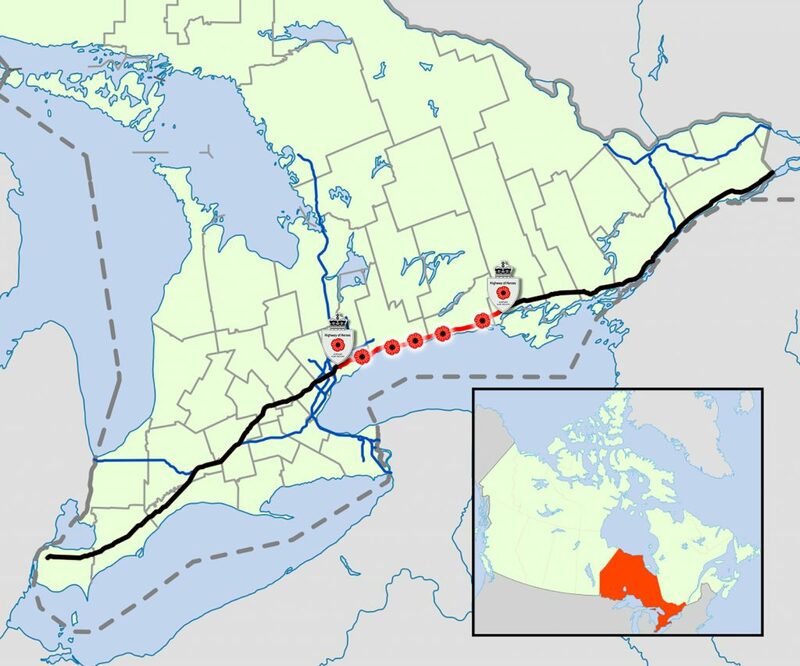 It is the route taken when a fallen military member’s body travels to Toronto. As they are carried home, citizens line the overpasses in order to show their support and respect to the fallen military member and those who remain behind. Twice a year, SerViCe & SacriFice – Soldier, Veteran, Civilian honouring the Fallen organize a clean-up of the Highway of Heroes. “The Highway of Heroes that is 172 km East and 172 km west Trenton to Keele Street in Toronto is where ordinary Canadians demonstrated extraordinary gratitude in sharing in the grief of the Fallen Families by standing on bridges and overpasses welcoming Canada’s sons and daughters home from the Afghanistan War,” said Kerri Tadeu, co-organizer of the initiative. It all started for Tadeu in 2009, following the death of her good friend Major Michelle Knight Mendes. The death of her friend had a tremendous impact on Tadeu. “I received an education about the cost of war, and when I knew better I started to do better,” said Tadeu. And that is precisely what Tadeu did. Along with Corporal Nick Kerr, and Master Corporal (retired) Collin Fitzgerald, Tadeu started SerViCe & SacriFice. The goal of this initiative is to help combat the epidemic of suicide among military personnel, veterans, and first responders. 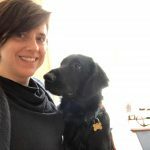 “We focus on inviting men and women who would otherwise be isolating themselves to join us to clean the Highway of Heroes and help them to help themselves move their pain into purpose,” said Tadeu. “After every clean of the Highway of Heroes, we hold a commemorative ceremony in a nursing home and focus our attention on thanking the elderly veterans for their service and remind them that their service and their sacrifices will never be forgotten. We bring elementary school kids in to sing for the veterans and give them thank you cards,” said Tadeu. 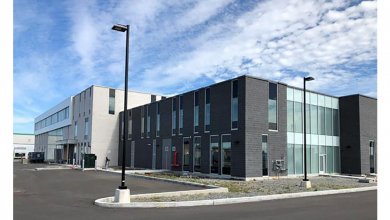 When not on the move, the memorial has a home at the Iron King Gym in Kingston, ON, which is owned by Arthur and Brittany Laramie, veterans who use the gym to help people suffering from PTSD. This initiative is for the veteran community – the military, veterans, and those who care about them. For those who are interested in taking part, or would like more information, contact Kerri Tadeu by email or at 613-539-1312.